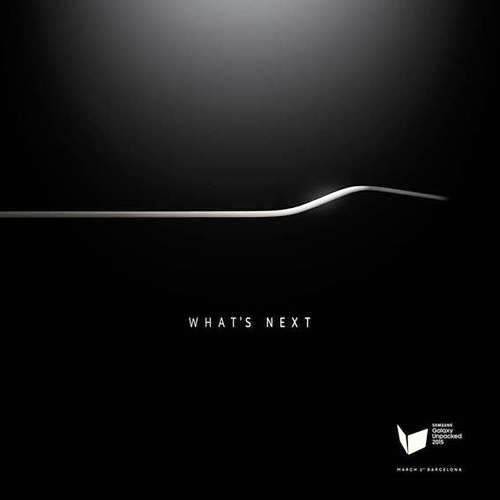 Home / Unlabelled / WHAT THE HECK IS SAMSUNG UNVEILING ON MARCH 1ST? The event will be held on March 1st, in Barcelona, at the annual Mobile World Congress event. MWC, as it is known, is a convention where tech companies show off their latest mobile goods –– smartphones, smartwatches, Bluetooth earbuds, training potties with iPad stands. Now look at the photo above: What is Samsung about to unveil? 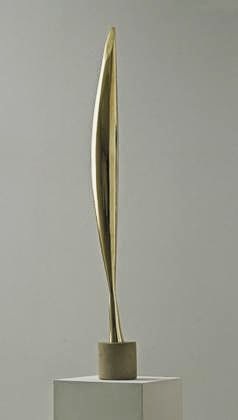 Based on the invitation alone, I would say: a recently discovered piece by turn-of-the-century Minimalist sculptor Constantin Brancusi. Ladies and gentlemen, I present to you the Samsung Galaxy SBird in Space 2. Most tech blogs and phone dogs think that this dark outline reveals the contours of the Galaxy S6. That means: If you are in the market for an Android phone, and you are even mildly curious about the Galaxy S5, you would be well-served to wait until March to check out what Samsung’s got up its sleeves. With HTC and Sony also reportedly preparing smartphone releases, February just become a very bad time to buy an Android phone. Whatever Samsung unveils –– new smartphone, sculpture that is considered a hallmark of Modernism –– Yahoo Tech will be on the scene in Barcelona covering the whole thing. Make sure you check back here on March 1st for the grand reveal. (Put it in your calendar RIGHT NOW so you don’t forget.) You are not going to want to miss what very well could be the moment that Android smartphones and Minimalist sculpture finally collide. Or, I don’t know, your first look at the Galaxy S6. Either way, should be educational.